Home > Wolfgang Product Line > Professional 5 Gallon Wash Bucket Available in red, clear and black. The essential car wash bucket. The 5 Gallon Wash Bucket is a must-have for any detailer, hobbyist or professional. Fill it up with your favorite car shampoo and you'll have plenty of soapy water to clean your car, large truck, SUV, RV, or boat. The 5 Gallon Wash Bucket accommodates large wash brushes, such as the Boar's Hair Wash Brush with Telescopic Handle, so you can complete large jobs faster. Get two buckets for a safer wash! 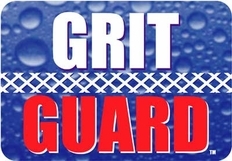 Professionals recommend the two-bucket system to guard against wash-induced swirls. Fill one bucket with soapy water and fill the second bucket with clean water. Each time you need to reload your wash mitt, rinse it in the clean water first. Then reload the mitt in the soapy water. This extra step will keep the wash water clean and reduce the amount of dirt you transfer back to the paint. A quality wash bucket is Car Washing 101! This heavy duty 5 Gallon Wash Bucket gives you plenty of soapy water for large jobs and it makes a handy storage container between washes. 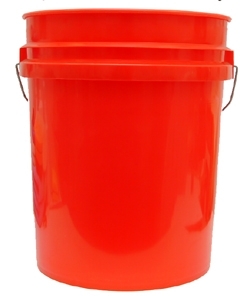 * Bucket available in clear, red, or black.